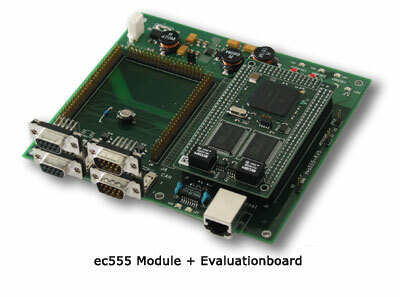 The module ec555 made by Würz elektronik is a credit-card sized module with the Freescale (Motorola) processor MPC555. 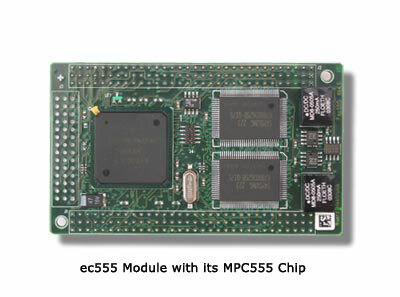 The MPC555 is a RISC MCU with a 32 bit PowerPC architecture and integrated floating point unit. (2 M*32 bit), up to 8 MB synchronous burst SRAM , two RS232 drivers and two CAN interfaces. The CAN interfaces are optically insolated and have their own DC/DC converters. The module is CAN-Ready for transfer rates up to 1 Mbps. A 10 pin debug interface (BDM) can be used to program the internal and the external flash-EPROM via debug software. Due to its ruggedness the module can also be used in extreme environments. Conformal coating is optionally possible. Do you require detailed information on that tool ? Links about related Modules !